One of the most interesting recent features developed for new cars recently was the advent of keyless entry and keyless ignition. In new cars, physical keys have become a backup measure in case the battery in the key fob dies, not to actually allow entry or start a car. It sounds a little bit like something out of The Jetsons. Given that they are more secure and make life easier, doesn’t it make sense to do this for your home as well? The good news is, you can! 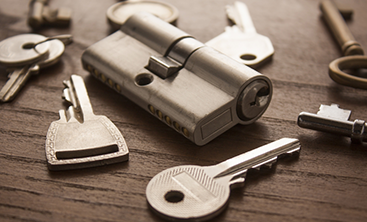 With Destin Locksmithing, you can have keyless door locks for your home in no time! Keyless entry systems are awesome because they easily replace both the doorknob and deadbolt with one integrated system. 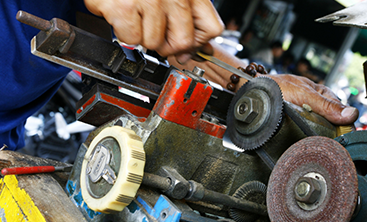 You don’t need to buy a special door or have your current door taken apart, modified, and put back together again. 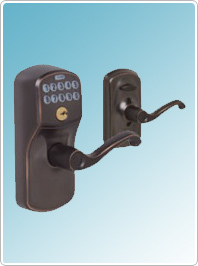 Instead, the digital door lock simply replaces the locks currently on your door and any hardware needed for the electronic component are housed within the lock itself. 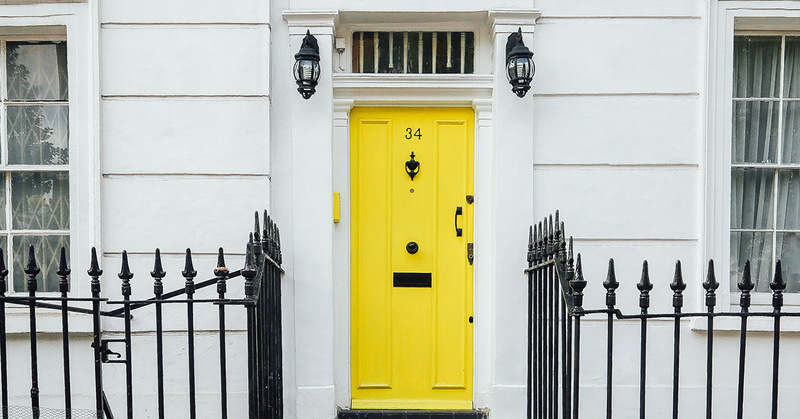 There are even plenty of color options, so you can match the hardware currently on your home or make a bold statement with a finish that stands out. Once the lock is installed, you will have the option to set one or multiple codes, depending on which lock you select. 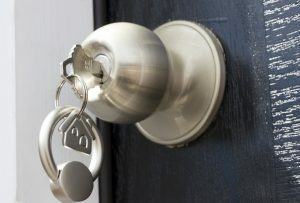 Some keyless entry locks offer the option to program in just a handful of codes while other keyless deadbolt options can easily connect to your home’s wi-fi and, with a handy app, can be set and reset as often as you choose from a computer or smartphone. For many, the biggest appeal of a keyless entry is being able to ditch that heavy keychain that fills a pocket or weight down a purse. Between the keyless ignition on one’s car and cutting out the need to physically unlock your front door’s doorknob and deadbolt, that’s a lot less to keep track of. If you forget to grab your keys as you rush out the door in the morning, it won’t be a problem! However, adding a keyless entry system to your home also adds an extra layer of security to your home. There is no keyhole, so thieves and burglars cannot simply pick the lock and grant themselves entry. In addition to the lack of keyholes, many keyless deadbolts automatically lock after a given period of time – often five or ten minutes – or can be toggled between automatically locking and not. This way, even if you forget to lock your door when you leave, you can be assured that your home is secure because the lock will handle that for you. For those of you who own vacation homes in Panama City Beach, or choose to rent out your home through sites like Airbnb when you aren’t there, a keyless entry can make vacation home rental a breeze. 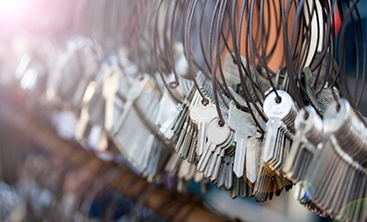 There’s no need to hire a property manager, coordinate picking up keys, or worrying that you’ll come back to your home and the keys will have vanished or been copied and shared half a dozen times. With keyless door locks, simply provide them with a code to the door – and since you can program several, you don’t even have to give the one you use! The added bonus, particularly for those keyless entry systems that connect to the wi-fi, is that you can have different codes for different people and get notified when they enter and leave. With the option to program several different codes, you can have a distinct code for yourself and your family, another for the renter, and a third for any maintenance workers or caretakers who need to get in the house, and you can track them all easily. This way, if you live across the country from your vacation home, you can check that your cleaner is staying the full time you pay them for and your guests have left by the designated check out time. To get keyless entry for your Panama City Beach house, call Destin Locksmithing! We have a full range of keyless door locks so you can customize based on your needs and preferences, and we can easily install in just a couple of hours. Call today to get started!